After cessation of hostilities in 1945, the bruised and battered British car industry crunched slowly back into gear in early 1946 with the main manufacturers picking up where they had left off in 1939. 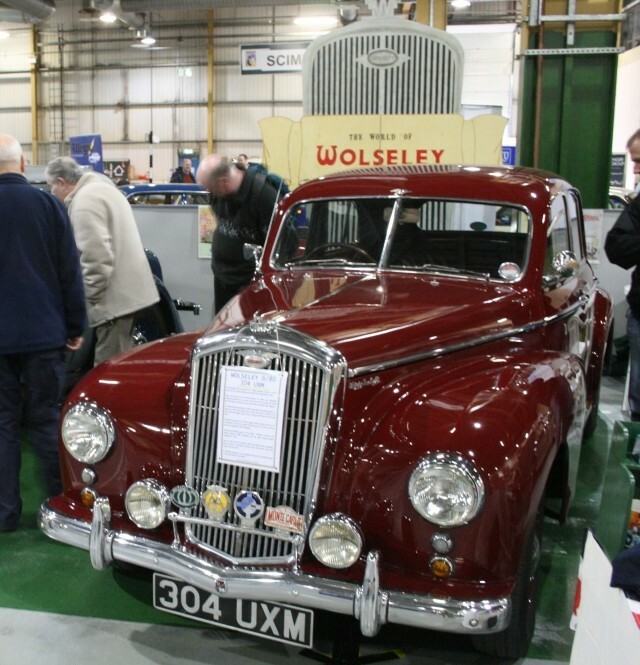 Wolseley production re-commenced with the Eight, Ten, 12/48, 14/60, 18/85 and majestic 25hp Limousine. It was not until 1948 that the first all new model appeared. As a fully integrated part of the Nuffield Organisation, the new post-war cars were solidly based on Morris design and the eager British public were introduced to the 4/50 and 6/80 models, based on the Morris Oxford MO and Six respectively. Both cars started production in October 1948 but the 4/50 ceased in September 1952 with the 6/80 in June 1954. Although on the face of it, an ‘upmarket’ MO clone, it is perhaps more accurate to describe the 4/50 as a four cylinder version of the 6/80. It had a shorter wheelbase (8’6” as opposed to 9’2”) and a rather cute ‘snub’ nose due to the smaller engine, but was trimmed and finished to the same high quality as the 6/80. It was, however, markedly slower, but was only £64 cheaper (£703 as opposed to £767 for the 6/80) and this undoubtedly contributed to its (unfortunate) lack of commercial success. The only meaningful mechanical change made to the car during its all-too-brief lifespan was the introduction of telescopic dampers in September 1950 and it was quietly phased out in September 1952. 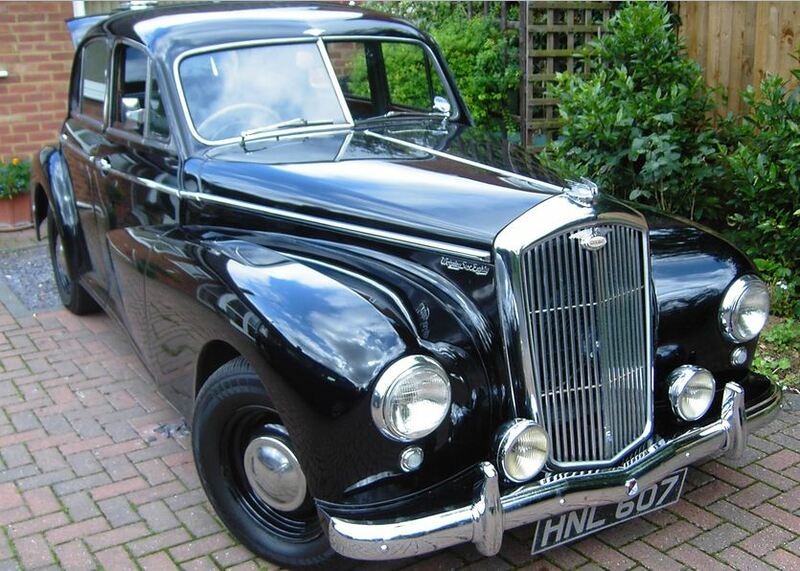 Introduced in October 1948 co-timed with the 4/50, the 6/80 is affectionately remembered by the great British Public as the archetypical ‘Police’ Wolseley, starring in numerous thrilling car chases in the popular Edgar Wallace ‘B’ movies of the era. 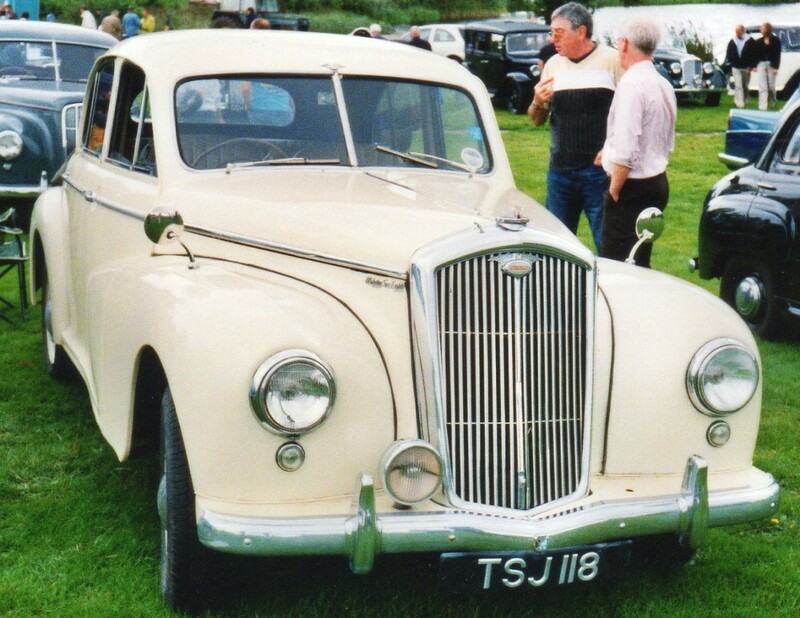 Basically an up market version of the mechanically identical Morris 6 (except with Twin SU’s) the 6/80 was one of the four Nuffield cars using the same monocoque cabin, albeit with differing front ends and wheelbase. 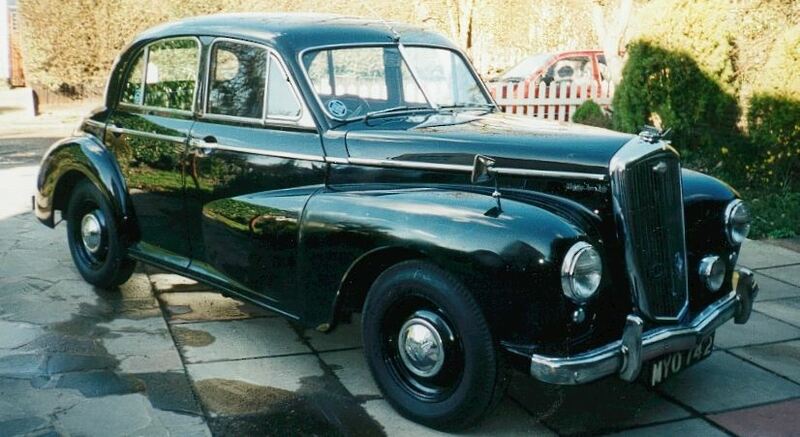 The unit construction body/chassis was 9’2 long, the nose was long and dignified incorporating the classic illuminated Wolseley grille; there was independent front suspension with torsion bars; a silky smooth straight six ohc engine and four-speed column shift. 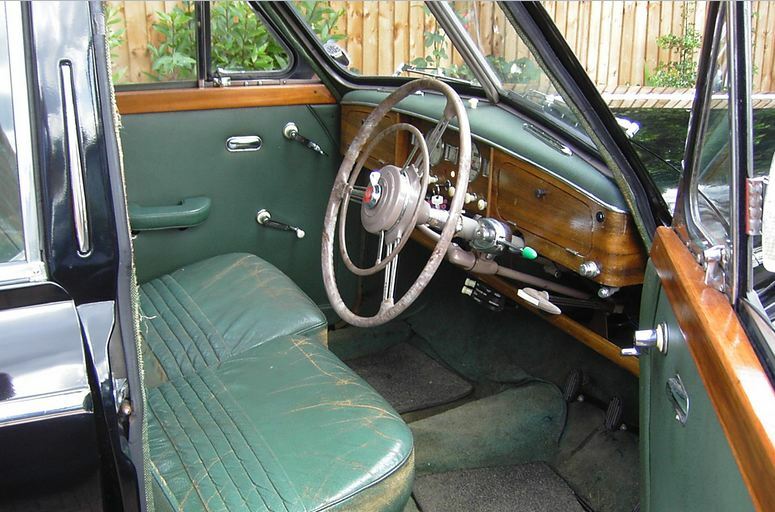 The plush interior boasted the full complement of wood / leather, comprehensive instrumentation and an efficient (for the period) heating/demisting system as standard equipment. The 6/80 sold very well for a car of this market sector and no changes were made during its five-year run other than the introduction of telescopic dampers; lowering of the compression ratio; larger capacity heater and separate ‘bucket’ front seats from spring 1952. The car was phased out in autumn 1954, to be replaced by the 6/90, after a total of 25,281 cars had been built. Finally, to whet the appetite of the enthusiast, mention must be made of the long standing rumour (myth?) concerning these cars. Apparently, late in 1954, four 6/80s were delivered new to the Met although they denied having placed the order. The care were subsequently placed in storage and were known to still exist, never having been used, well into the 1970s. Where are they now? Are they on the Register? Food for thought!